By now you’ve heard the news that Warner Bros. has apparently won out a lengthy and complex legal battle to gain the rights to produce movies set in what has the potential to be the nerdiest movie universe of all time: Dungeons & Dragons. I saw the original theatrical attempt as a wee lad, and luckily, I don’t remember any of it, meaning I’m all doe-eyed and optimistic for what could be in store for the D&D faithful with the backing of a massive production company. The last D&D movie had nothing to do with its source material excepting the title, but it seems as though the first movie out of the gate under this new deal will be set in the extremely popular and long-running Forgotten Realms campaign setting. While I always counted myself a resident of Krynn (Dragonlance, for those not initiated), I have respect for many of the stories in the other major fantasy shared world: here are nine such stories that could and should be adapted for the big screen. Songs & Swords, written by Elaine Cunningham, was originally published as part of the Harpers series until being re-released at the turn of the millennium in shiny new packaging. Essentially, it tells the story of Arilyn Moonblade, a female half-elf assassin, and her nobleman husband Danilo Thann. Moonblade, a member of the Harpers – basically a worldwide hippie organization tasked with maintaining a balance between modern civilization and nature – is implicated in a ploy to assassinate current and former Harpers. Moonblade and her companions must dodge inquiries and pursuit, all the while locating the real Harper assassin and bringing him or her to justice. And that’s just the plot of Elfshadow, the first of five separate adventures starring Moonblade and Thann. Like much of the Forgotten Realms canon, Songs & Swords embraces genre tropes of the ’80s and carries them through the ’90s to a whole new generation of fantasy fans. This series is saturated with all things elves and magic, and it actually has some pretty clever twists and turns along the way, but perhaps the aspect of the narrative that would translate most effectively to the big screen is the chemistry and interplay between the two lead characters. With the right casting and a clever budget, this could be a fun series of adventures to take, each of which stands comfortably on its own. To get a feel for how this one might play out on screen, check out the trailer for MTV’s upcoming Shannara TV series. If there is one mainstay in the realm of fantasy creature – both in novel and movie form – that is constantly overlooked, I would make a strong case for it being the griffon. Sure, dragons are cool and all, but aren’t they a bit played out in pop culture? Realms author Richard Lee Byers set out to change all that with his five-novel series, Brotherhood of the Griffon to great success. Oh, and he managed to pen a dark, involved and mysterious narrative along the way. 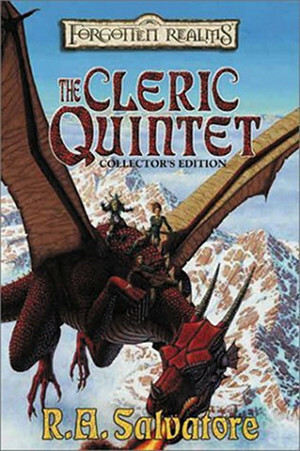 Not only does this series – one of the most recent to be published under the D&D banner – feature incredible aerial battles between a group of deadly assassins astride their half-eagle, half-lion steeds and all manner of foe, but it manages to endear you to a group of rather unsavory characters, Brotherhood leader Aoth Fezim among them. Early on in the series, Fezim and his brothers are commissioned by the red dragon Tchazzar and roped into a draconic mob war that spans all of Faer?n. 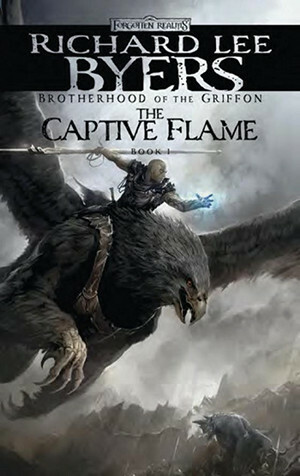 Fezim does his duty, both to his brothers, his employers and – most importantly – his dream of a world free of draconic rule … and he does it all while firing lightning bolts from the back of a griffon. Tell me you wouldn’t want to see that in a movie. R.A. Salvatore is a love-him or hate-him type of author, and he happens to be the highest-selling and most popular writer in the Forgotten Realms universe, so you’re going to see him pop up more than once on this list. While best known for his later works – and the introduction of one of fantasy’s most popular characters – Salvatore’s Cleric Quintet introduced readers to a hero unique to the sword and sorcery genre in the form of the scholar-priest Cadderly. Cadderly is unwittingly involved in a plot to poison and corrupt everyone in the Edificant Library, his home, and must take it upon himself to right the wrongs of a rival citadel. Canticle, the first novel in the series, is relatively small in scale, but each subsequent story branches out further and further, taking Cadderly from inexperienced cross-waver to one of the most powerful presences on the planet. Not only would this be a refreshing addition to the fantasy genre on screen, but it also features some great supporting characters, including a badass female monk and love interest, Danica Maupoissant, along with two funny and stalwart dwarven brothers, the Bouldershoulders. I’ll say this at the top when it comes to adapting the joint work of authors – and Realms creators – Ed Greenwood, Jeff Grubb and Troy Denning’s Cormyr Saga: it won’t be easy. That said, if anything in the admittedly lighter shared world of Faer?n could approach the narrative complexity of something like A Song of Ice and Fire, it would certainly be this. 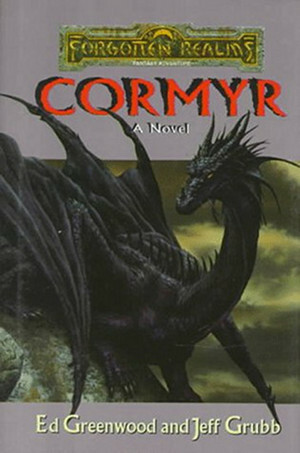 Cormyr: A Novel was originally published as a standalone in 1996. It chronicled the end of the Obarskyr family, particularly its king, Azoun IV, who led his kingdom to the longest period of economic stability in the history of the Realms. This book was so well-liked that it spawned two sequels, which went into much more depth concerning the tragic, albeit inevitable collapse of the last great dynasty on Faer?n, along with the heroic last stand of its most famous patrons. We may need to get our feet wet with some lighter fare in the new D&D movieverse before attempting something on the Silmarillion-like scale of Cormyr, but it’s certainly ripe with cinematic potential, even if writers and directors merely borrow bits and pieces from the expansive narrative. 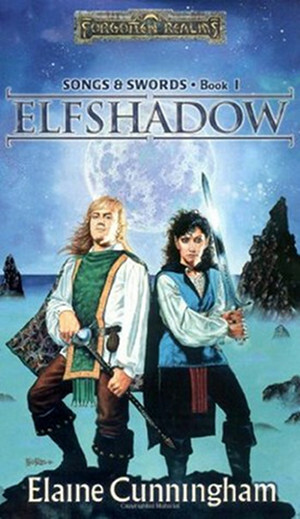 R.A. Salvatore’s second appearance on this list is owed to his creation of one of the best – if not the best – dynamic duo in the Forgotten Realms universe: Artemis Entreri and the drow elf Jarlaxle. 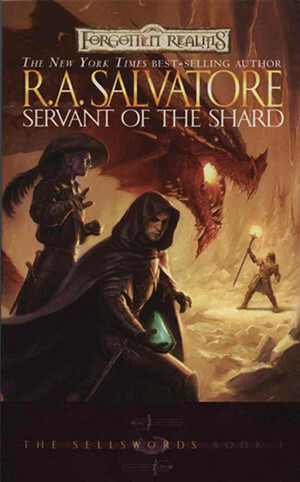 Originally introduced as major antagonists in the Legend of Drizzt series, both Artemis and Jarlaxle went on to develop a major fan following, leading Salvatore to pen a fantastic trilogy featuring the duo that kicked off with Servant of the Shard in 2000. In addition to being the fantasy equivalent of a crooked buddy cop story, Servant of the Shard also crossed over with an elderly Cadderly, the priest from the aforementioned Cleric Quintet. If Drizzt and his companions – we’ll discuss them soon – are the Justice League of the Forgotten Realms, then the group Artemis and Jarlaxle put together throughout The Sellswords trilogy is their polar opposite. Only, that’s not entirely true; as is the case with most great villains, these two damaged characters have hearts of gold beneath their rough exteriors. We root for them even as they come up against good guys we’ve seen in Salvatore’s stories before. Before The Sellswords trilogy touched down, readers couldn’t understand why Drizzt Do’Urden would bother to spare the life of an assassin hell-bent upon his death; after you finish it, you’ll be thanking him for his mercy, and you may even be rooting for his arch nemesis the next time they meet. In terms of a film adaptation, the success of The Sellswords would depend heavily on casting and it would need to have the heavy lifting/world building done by a series of movies before it, but somewhere down the line, this would be a pleasant surprise. 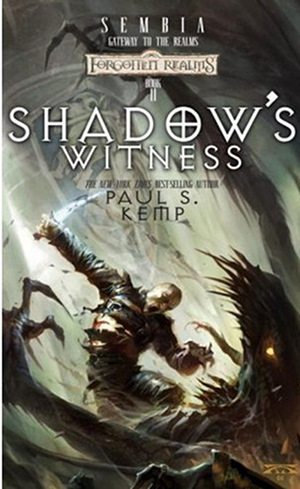 If Salvatore and Greenwood earn the lion’s share of attention from Forgotten Realms fans, then Paul S. Kemp has to be the most underrated author ever to have operated in the world of Faer?n. Kemp’s stories aren’t continent spanning, but he did create one of the most complex, original and popular characters in the history of the Realms in the form of Erevis Cale. Cale is many things: he’s a scholar, a butler, a bodyguard, an assassin and a chosen of Mask, the patron god of thieves. His history is long, dark, bloody and complex, but for our purposes here, we’ll focus on his first appearance. The long and short of it is that Cale was sent to replace the butler of the Uskevren family for his guild, the Night Knives. In typical antihero fashion, Cale falls for the noble daughter of the household and ends up caught between the rival from his guild, Drasek Riven, and the royal family he was meant to betray. And that’s just a short story that introduced him to the masses; Kemp went on to write Shadow’s Witness, a standalone novel before featuring Cale in two trilogies: the aptly-named Erevis Cale Trilogy and The Twilight War, each of which improved upon the last. 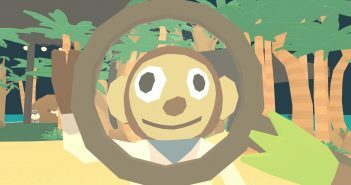 Unfortunately, contract disputes with Wizards of the Coast put his third trilogy on the skids, but this character has all sorts of cinematic potential. 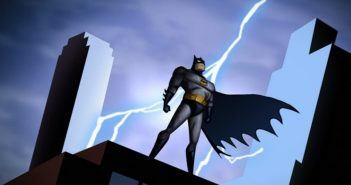 He’s basically the Batman of the Forgotten Realms world – that is, if Batman were the chosen right hand of a god affectionately referred to as the Shadowlord. Ed Greenwood is the creator of the Forgotten Realms, and he’s also the father of one of fantasy’s most beloved characters: Elminster Aumar. Also known as the “Sage of Shadowdale,” Elminster is one of the most powerful wizards in all of Faer?n, and, along with Drizzt Do’Urden, one of its most infamous heroes. What makes Elminster such a great character is that, aside from possessing some of the most impressive and decidedly wizardly powers you’re ever likely to witness, he’s also a badass fighter, a clever rogue and an extremely complex personality. It’s virtually impossible to predict precisely how Elminster will react to a given situation, even one as mundane as navigating a royal ball, never mind finding a way to escape the clutches of Hell. No, really. 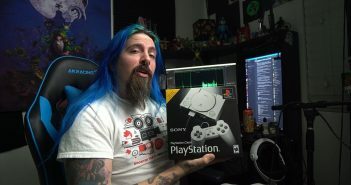 He did that. 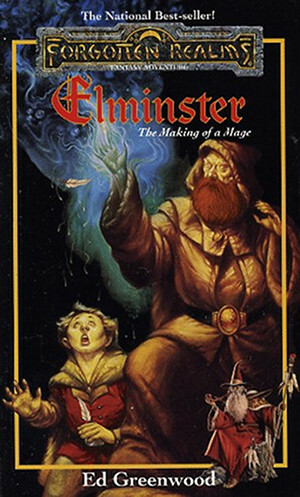 More so than in most stories in the Realms, casting would be the top priority for a successful big screen version of Elminster; but if you got that right, you’d have a treasure trove of narrative gems to sift through, from 1994’s Elminster: The Making of a Mage to 2010’s Elminster Must Die. In terms of power, it doesn’t get any bigger than this guy, and I’d love to see how some of his biggest battles would play out on screen. In preparation for this feature, I went back to one of my many bookshelves to count up exactly how many books Salvatore has written concerning everyone’s favorite dark elf. I’ve got 28, and I don’t have them all. 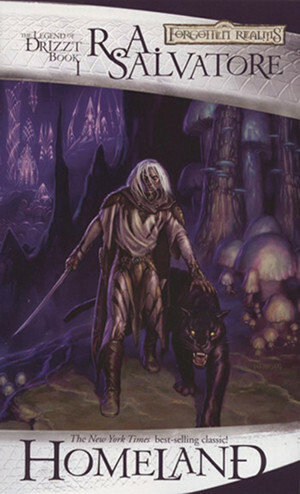 Interestingly, Drizzt Do’Urden, the renegade drow from the dark city of Menzoberranzan, was never intended to be a major character; in fact, Drizzt was originally positioned as a supporting character to the barbarian Wulfgar in 1988’s The Crystal Shard. Apparently, both author and audience agreed that he was by far the most interesting character among the Companions of the Hall, so he quickly rose to prominence, both in Salvatore’s narrative and, later on, in the fantasy genre at large. Drizzt’s origins were told in the stellar Dark Elf Trilogy, which chronicles his upbringing and eventual rejection of the evil ways of his people in the subterranean city of drow. In the last three decades of Drizzt-centric stories, he’s battled dragons, Matron Mothers, giants, assassins [i.e. : Artemis Entreri], demons and Orc Kings, to name an unlucky few. He’s a warrior without equal with a tragic past and a poet’s sensibilities. And he’s got a magic panther as a companion. Drizzt’s storyline could produce a cinematic universe all its own, and his supporting cast is undoubtedly the strongest in the Forgotten Realms canon. Hell, one of the series on this list is a spinoff featuring just two members of his extensive rogues gallery. A big-screen adaptation of Drizzt is inevitable; let’s just hope they get it right when they finally decide to pull the trigger on this one. If you haven’t recognized any of the titles or creators up until this point on the list, Baldur’s Gate was probably a refreshing sight. 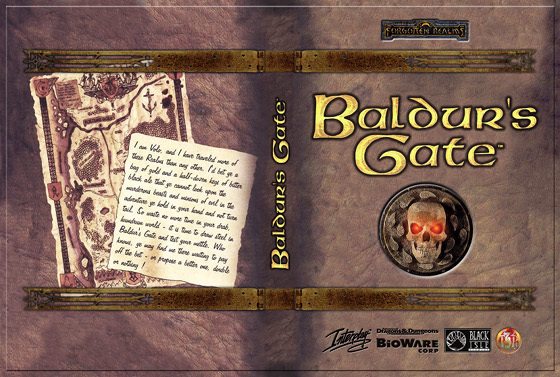 Although several novels were released later on, most people know Baldur’s Gate as being the first major success for the now-famous videogame studio BioWare. 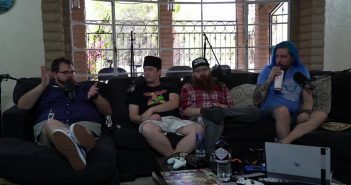 In addition to revolutionizing the fantasy role-playing genre in the world of video games by emphasizing choice and strategy over flashy combat and clich?s, BioWare earned high marks for an engrossing story centering around one of the most iconic cities in the Forgotten Realms canon. 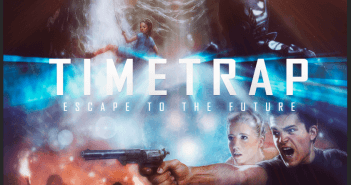 When it comes time for this property to be adapted for the big screen – I have a feeling it could be the first project out of the gate (pun intended) – creators have a lot of wiggle room. There are so many major quests in the original 1998 game alone that you could make a trilogy of films without branching off into the stellar sequel or expansions. Of course, you need to have Gorion the mage in the early part of the narrative, since he starts the adventure in motion; but lead characters are totally up to the filmmakers, since the whole point of an RPG is to be your own hero. The real star of the Baldur’s Gate series would be the setting, first and foremost. Tucked into the scenic and deadly land of the Sword Coast in a time of economic hardship and supernatural peril, this series puts the dark in dark fantasy and would stand well on its own as a major film franchise. It’s also a hell of a lot more recognizable to a larger audience than most of the other stories on this list, and that alone could give it a leg up on the competition that is sure to crop up in a post-Warcraft movie world, assuming Duncan Jones’s 2016 film is a success. A former fighter turned writer, Steven Kelliher can often be found cringing at the latest fight scene trends in the movie world. When that's not the case, he is often reading the latest great Fantasy authors and deciding what to complain about next on The Robot's Voice.